The single most reliable source for a professionally estimated market value for your home for sale can be performed personally by a team member. You see these all over the web.. Those Automated Valuations Websites. They are websites with a computer approach that looks at public records to make a determination based on square footage, comparable sales and other elements. It is as easy as putting your address in a blank. No machine will show up at your property. Unfortunately, AVM results may only be accurate about 20% of the time – it lacks a professional human factor with a host of factors. If you want one of those evaluations CLICK HERE. Bridget Morrissey Real Estate brokered by eXp Realty prefers another way. Your valuation is researched and performed by a real experienced real estate professional from our team. A skilled professional can tell which properties are truly comparable. A knowledgeable expert can recognize features, floor-plans, architectural details, conditions, improvements, neighborhood analysis, traffic patterns and other things that can affect value but are difficult to quantify. Even if you are not planning to sell your home, you would like to know its value. And that’s perfectly fine. It is easy to find the price of stocks or mutual funds on any given day but the value of a home is more difficult. Regardless of whether you’re just curious as to how much your home is worth or are ready to monetize your equity, we are available to give you your personalized information without obligation. AND it’s strictly confidential, your information is never shared or sold. 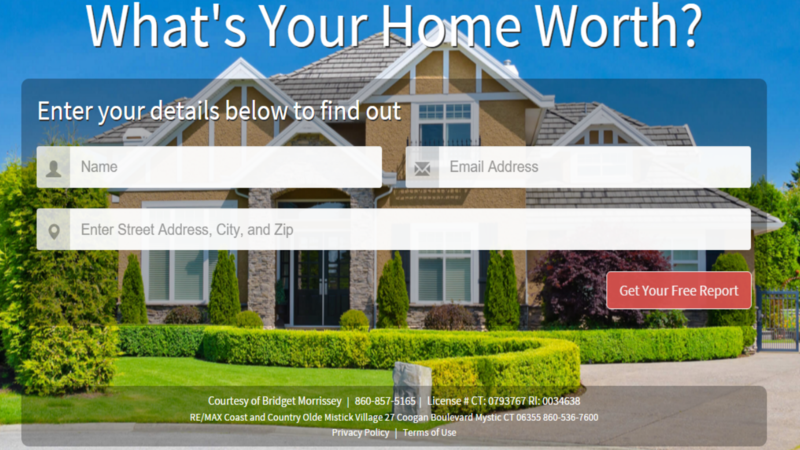 To receive a free market analysis estimating your home’s value, just fill in the form to the right –and make sure to complete the property address in the “Any questions for us?” box!